Are you itching to transform your messy, unorganized closet into a beautiful walk in? 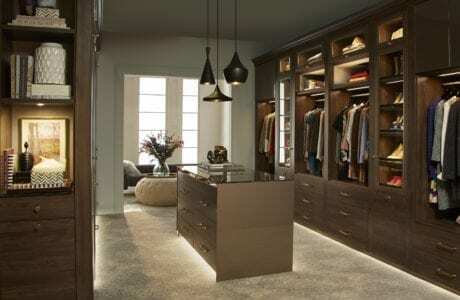 At California Closets of Southwest Florida, walk in closets are one of our specialties. We'll sit down with you one-on-one to understand your design needs, budget and space limitations to build the perfect solution for you. - Select the ideal walk in closet shape. The popular styles include straight, U-, or L-shaped. - Incorporate ample storage. Cabinets, hanging space, shelving, and drawers will keep your closet clutter-free. - Choose a style. 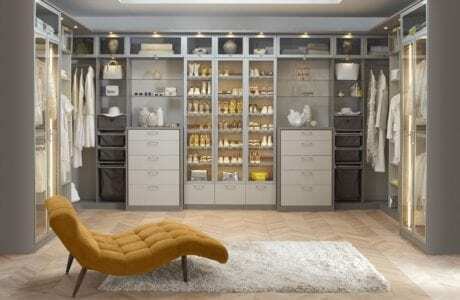 Selecting a style for your walk in closet ensures cohesiveness.